members were invited to attend a Teach to Lead Summit in Washington, D.C. It was an AMAZING OPPORTUNITY!! The team realized that the name of the initiative wasn’t reflecting the future work of MAAI. 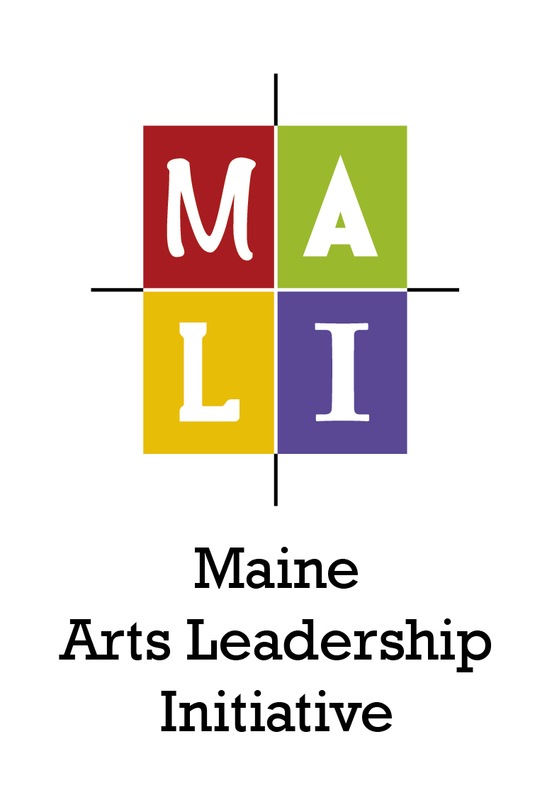 A focus on LEADERSHIP was clear so the members of MAAI decided to change the name to the Maine Arts Leadership Initiative. Like everything we’ve done in the 8 years that the initiative has been in place it was a careful decision. It proved to be the best thing for MALI. We know that in many school districts across Maine and across the country that arts educators are leaders. They are looked to for their many skills – collaboration, problem-solving, curriculum integration, student-center learning and so much more that takes place in arts education classrooms everyday. Why wouldn’t visual and performing arts educators be asked to contribute their expertise to help move schools and school districts forward?!! You have a chance to lead your colleagues and community to a Teach to Lead Summit. Do you have an idea that takes some intense planning and time with your colleagues? Do you want to take action around something that is needed in your school? If so, I urge you to consider taking a trip west to the next Teach to Lead Summit taking place on September 19-21, 2019 in Salt Lake City, UT. The information is below – take a look – see if you’re a good match. If you have any questions please email me at argy.nestor@maine.gov. Calling all educators! 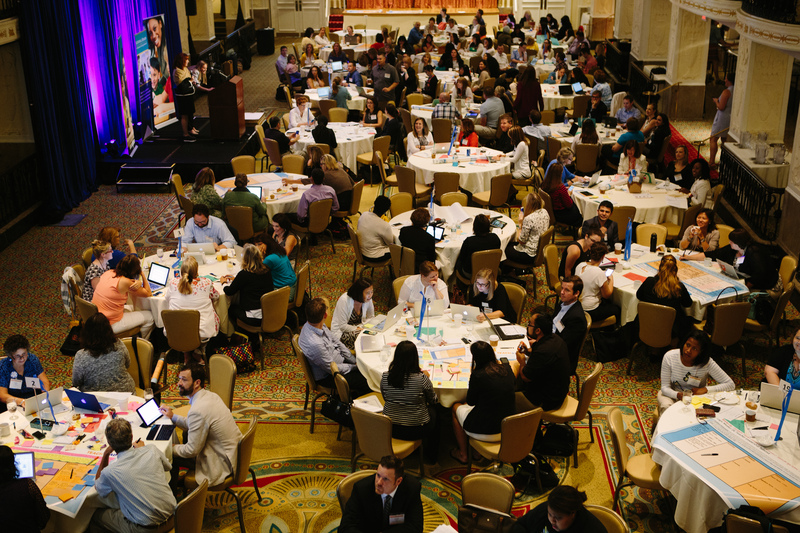 Submit an idea for our next Teacher Leadership Summit! Teach to Lead supports teachers as valued experts in instruction and students’ needs. Teach to Lead summits provide teams with time to collaborate, skills development, and professional consultation to incubate innovative ideas that can make a positive impact for students in their schools, communities, districts and states. This topical summit will bring teacher leaders and other stakeholders together to address the needs of the Whole Child and Whole Teacher in an effort to transition from a focus on narrowly defined academic achievement to one that promotes the long-term development and success of all children, as well as the well-being of all teachers. Be provided with free registration and hotel accommodations for two nights or parking ( hotel will be provided free of charge for teams traveling more than 50 miles; parking will be provided for teams traveling 50 miles or fewer to the summit). Who may submit an idea application? Any teacher leader with an actionable idea is encouraged to apply here (or cut and paste into your browser) https://www.surveymonkey.com/r/TTLSLC19 by 11:59 pm ET on May 17, 2019 . Accepted ideas will be notified the week of June 10th. Teams must have 3-5 members and must be led by one current teacher. Other key stakeholders (e.g. parent, student, community members, school and government officials) are encouraged. Encourage teachers to lead from the classroom. Promote collaborative work among multiple stakeholders. Identify an area in need of innovation or a specific problem with an eye towards actionable solutions. Be functioning at any stage of development – an emerging idea requiring input and buy-in to something that has been implemented which is ripe for improvement or expansion. Focus on any level of change – school, district, or state. Please contact info@teachtolead.org for additional information or questions. 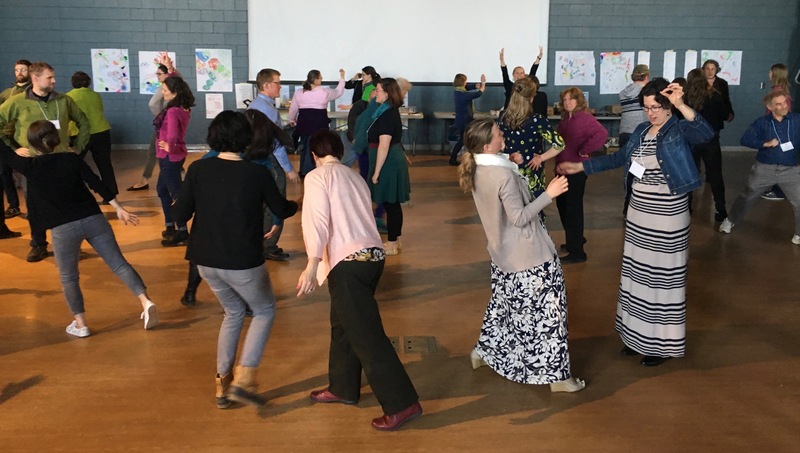 The Maine Arts Leadership Initiative (MALI) will provide a Mega-regional conference at Oxford Hills Comprehensive High School in South Paris, Maine on Friday, March 15, 8:30 a.m. – 3:15 p.m. All educators, PK-higher education are invited to participate in this professional development opportunity in arts education. 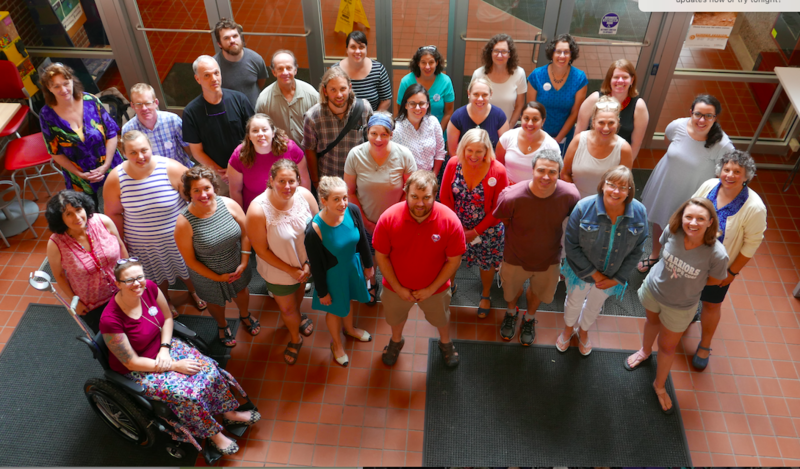 Workshop facilitators are Maine Arts Leadership Initiative (MALI) teacher leaders and teaching artist leaders from all eight phases of MALI. 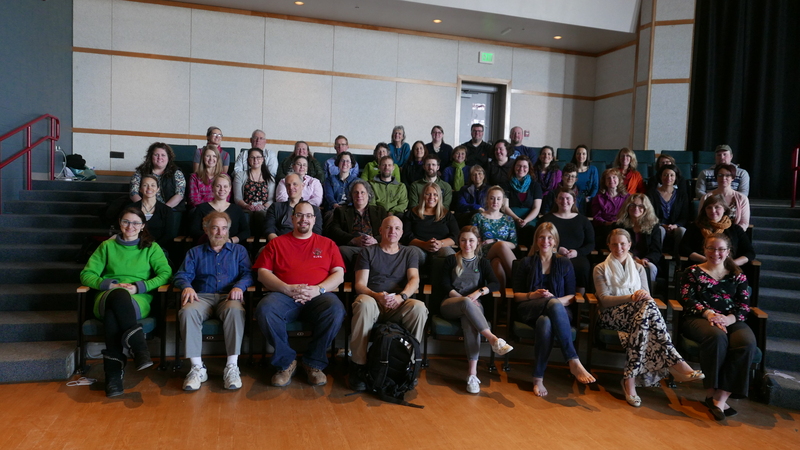 These educators are providing dynamic work that they’ve been engaged with themselves, some for many years. Below are the descriptions for the workshops being offered. You will have the opportunity to register for three of these workshops. Shawna will share the five key definitions of arts accessibility and what they may look like in the classroom/studio. Participants will learn how to break through these barriers to access, with a few creative solutions. Joe will demonstrate how easy it can be to compose music. With participation from the group, we will create a new piece of music with numbers (and talk about other ways to write music too). Risk taking and mistakes will be the driving force of this workshop. Reaching beyond the walls of the classroom to explore learning provides many valuable opportunities for both the students and those they collaborate with. 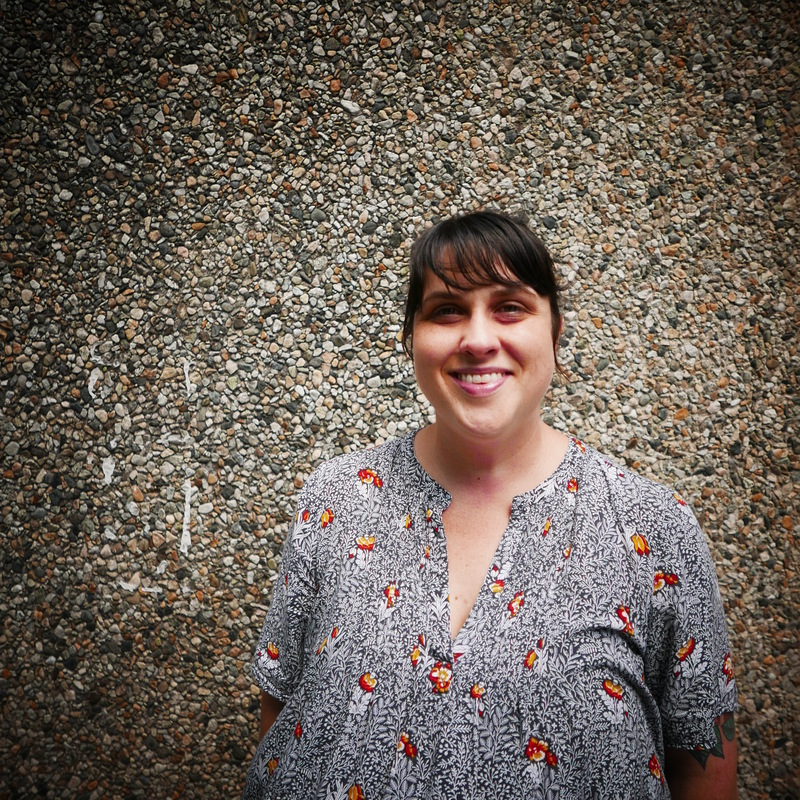 Kris will share her students’ current project, monthly visits to a retirement home where the students interview residents to capture their stories, games, pastimes, and events that shaped their lives. Students take these stories and create a multi-movement choral composition to be performed in our Spring 2019 concert. Students will experience cross-curricular collaboration that moves the arts to the heart of curriculum. Interconnected learning provides students of all learning styles an opportunity to demonstrate and share understanding and knowledge learning using the creative process. We will compose in the workshop and share ideas that can be used directly in your area of study. A story of a developing full choice approach to art making, hard copy and link-based resources (including student project proposal form, course expectation student guide, self direction management aid, rubrics, do’s and don’t’s, examples of student works, and access to slide presentation) to assist the wild-spirited, brave, and trusting (or crazy) to dive in feet first or the perhaps wiser ginny-pig with an appetite for a savory taste. All wild-spirits and ginny-pigs welcome! Lindsay and Tom will share their experiences teaching music and math as a single domain. Using simple, open ended tasks, they will show how to help students make connections between these two normally specialized subjects, and how other “rabbit holes” can be discovered along the way. Choice-Based Art classrooms are working studios where students learn through authentic art making. Control shifts from teacher to learner as students explore ideas and interests in art media of their choice. This concept supports multiple modes of learning to meet the diverse needs of our students. We’ll chat about how to add choice to a studio art history course (without offering centers) and through the hands-on creation of artist trading cards. Informational Zines or mini magazines are a great way to bring writing into the art room. In this workshop we will look at combining informational writing with drawing techniques and tools to create unique zines. We will look at student examples, strategies and tools for teaching an arts/literacy integrated unit and have time to create a zine. Once complete zines are easy to photocopy and are always fun to share with classmates and the school community. Play lets us shake off anything unwanted and connect with those that we are with. Foundational practices of improvisational theater: Listening, Eye Contact, Respect, Support, YesAnd as well as Embracing Mistakes will be discussed and exercised. Sharing observations and experiences as a student, teacher and general human. The use of reflective practice allows students the opportunities to gauge their understanding along the process of creating. As students regularly document their experiences throughout process of art making it provides opportunities for discussion and conversation between student & self, student & peers, and student & teacher. These conversations provide checkpoints for reflective practice and growth. Let’s dive into the misconceptions surrounding pre-assessment and look at easy ways to implement strategies into the classroom that work for both teacher and student. This workshop was born out of necessity. Elise will share her personal experience of confronting the topic of self-care as an elementary visual arts teacher. This ever evolving workshop will provide teachers, artists, and busy people in general tools, resources, insight, and reminders to support their growth and practice of self-care. Photos from the 2018 MALI Mega at Oxford Hills Comprehensive High School. 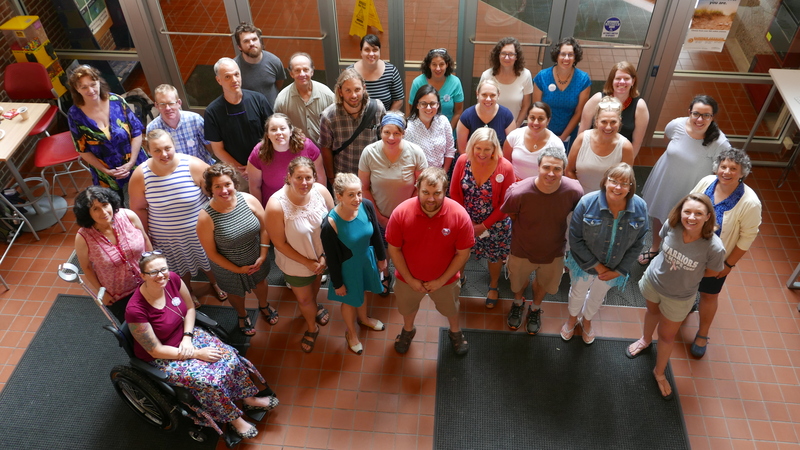 Even though another Maine Arts Leadership Initiative Summer Institute (MAL) is history (number 8), the work for the MALI Teacher Leaders and Teaching Artist Leaders is just beginning. I am so impressed with the topics that participants have taken on – each year the work is more comprehensive! I will include information about the research the leaders have underway in a future blog post. 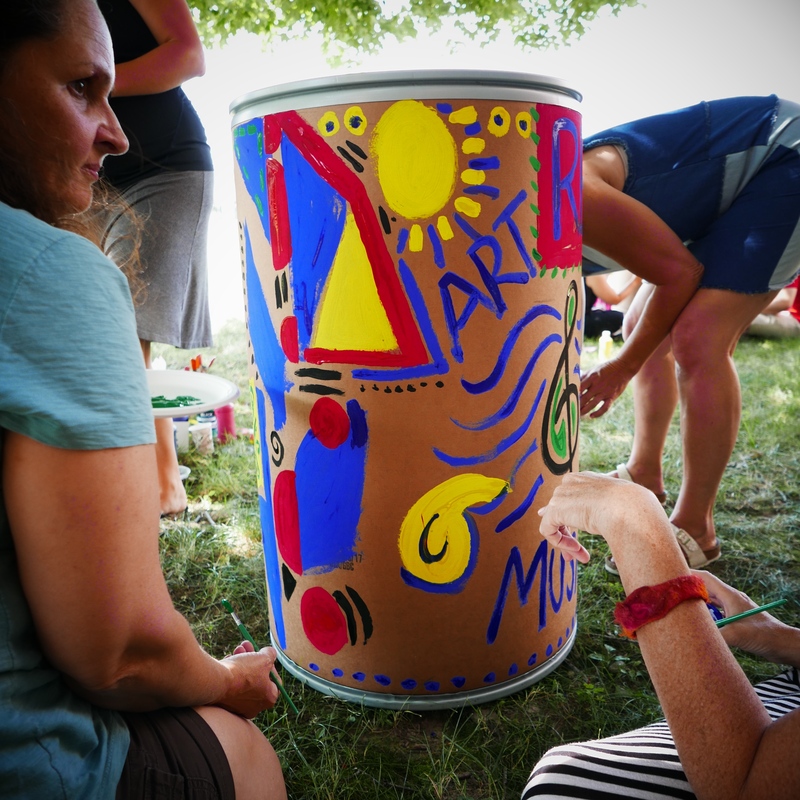 The work is challenging and participants make a commitment to stretch themselves as they build on their knowledge and expertise as educators in the arts. MALI’s educators are committed to providing quality arts education for every Maine learner. Often I am asked so what’s MALI all about and how can it impact me as a teacher? Below you will find some of the initial feedback received at the conclusion of the institute. The comments reflect the thoughtfulness of the participants and will provide a glimpse of the power of participating in MALI as a “leader”. This institute may have changed my entire outlook. I feel like I have value and can help others through my work. Thank you for bringing us all together! The constant stimulating conversations are exhilarating! (joyfully exhausting). I LOVED the storytelling element. Gained a tremendous amount of insight into other teacher’s schools, jobs and lives. Always amazing experiences with MALI. Thank you for the community connection of the Museum of Art and Ashley. Very inspiring. Lots of great info. Introduced to new concepts. Networking and connections. Amazing sharing! Inspired beyond belief by my peers. Once again, I’m leaving excited about this year. Leadership and creativity hit the spot for me personally. As always you can’t beat the connections made and renewed at MALI. I think I have benefitted a lot from a few key conversations. OMG! I needed a 4thday now! Can you believe it? Great re-boot to my goals as an educator. Focused organization to start the year! It was great! I have much to ponder over the coming months. Lots of great information and inspiration. I liked the small workshops best. I feel motivated and empowered by being around so many like-minded people. The positive energy that is found in this room is amazing. This might be my favorite yet! I feel so fulfilled but not overwhelmed! So re-energized! Thank you and so much love for this organization! I find it fascinating that as we add years on to our MALI gatherings our topics and ideas for our projects and presentations get bigger, better, deeper, more thoughtful, more global. I am so lucky to be part of this organization. Your hard pre-game work was truly appreciated! Love the peeps – Love the sharing – especially the personal journeys. Leadership and artistic. My overall reflection brings me to WOW! I have thoroughly been challenged, inquisitive, curious, exhausted, reignited, and REWARDED. Being surrounded by greatness has, again, been humbling. This was an awesome opportunity to converse with people with similar professions and a wealth of experience to reflect on. The Maine Arts Leadership Initiative (MALI), now in year 8, announces three new teacher leaders and three new teaching artist leaders. These incredible educators bring the total number of MALI leaders to 107. CONGRATULATIONS to the following educators. Each of these leaders brings a wealth of knowledge and experience to MALI. We’re excited about their involvement. During the next year you’ll have a chance to learn more about the phase 8 MALI work and about each of the new leaders on this blog. Learn more about MALI at THIS LINK and access resources at THIS LINK. 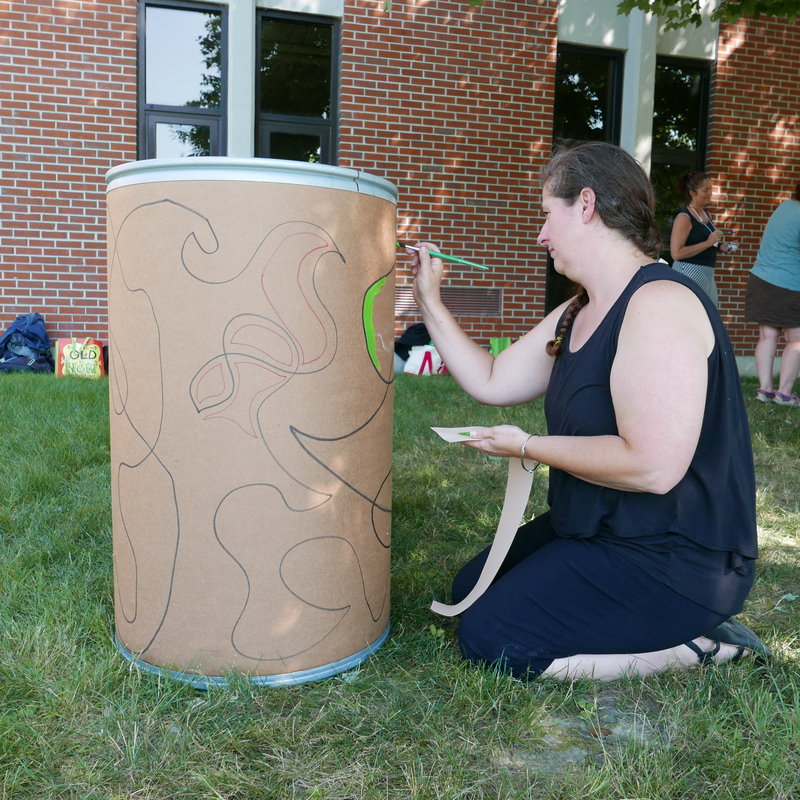 Art Teacher Hope Lord and Music Teacher Dorie Tripp collaborated to create an amazing learning opportunity for their students in the RSU 38, Maranacook area schools. 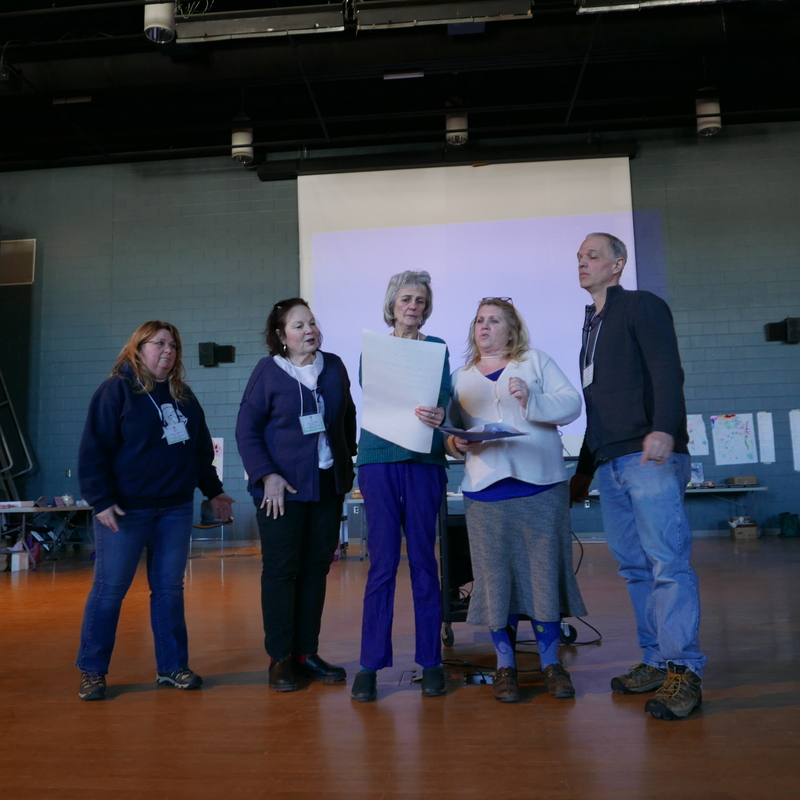 Hope and Dorie became Maine Arts Leadership Initiative (MALI) Teacher Leaders last spring as part of phase 7. Both are inspirational leaders who shared their integrated work at the MALI winter retreat in March. At the MALI summer institute in August 2017 they participated in the drum building session with MALI Design Team member Lindsay Pinchbeck. Out of the learning opportunity they decided to involve the students in cross-curricular and cross grade level learning. 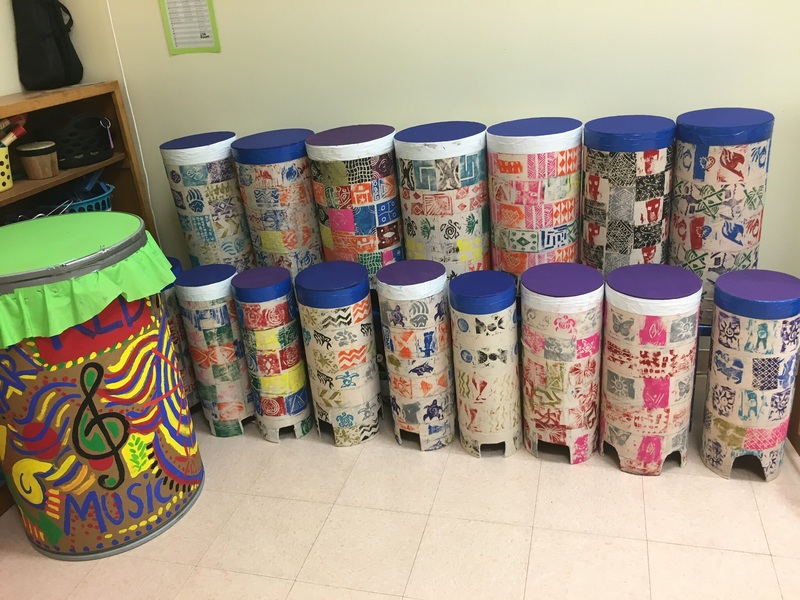 Hope worked with her general art & design students to build drums and create tribal printing stamps. They brought their ideas and stamps to the 5th graders who used the stamps to make designs on 16 drums. The students experimented with the sounds that the drums make by using different materials for the drum head and by how tight they attached them. They already started to use the drums and are looking forward to the spring concert to perform with them for the community. Both Hope and Dorie are glad to share their ideas in more depth, if you’re interested! 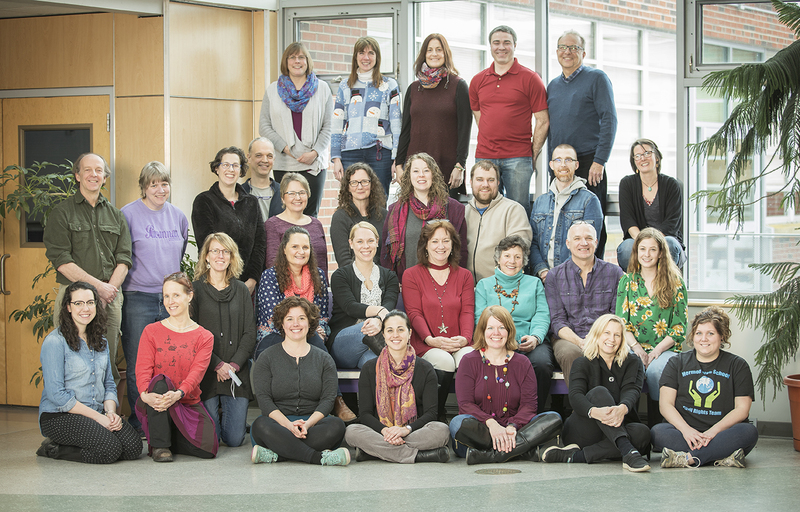 Thirty Teacher Leaders and Teaching Artist Leaders met last Saturday for the Maine Arts Leadership Initiative (MALI) winter retreat. It was a great opportunity to gather with friends and colleagues from across Maine. We accomplished the above and a whole lot more. There is nothing that compares to coming together with visual and performing arts teachers who have so much in common. So many topics to discuss and listen to what each person has to offer. “Getting off our islands” and coming together with “our community” on a winter day in March is refreshing! The agenda was filled with art making from the Growth Mindset opening session to the finishing session that concluded with a meditative heart exercise. If you are considering applying to be a Teacher Leader or a Teaching Artist Leader for MALI in Phase 8, please send an email to me – argy.nestor@maine.gov stating your interest. Applications will be available in May 2018.